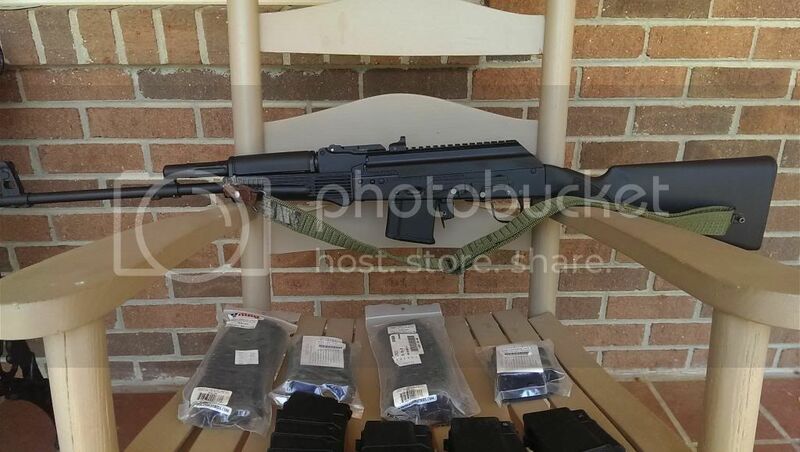 [ARCHIVED THREAD] - WTS Saiga Sporters 223 & 308 - both 21" barrels and accessories. For sale , my two Saigas, please no trade offers. Please contact me for purchase or questions at bikeva@yahoo.com , I don't check this sale forum daily. No sales to prohibited states, and NY,CA,HI, continental USA only. Payment either by Postal Money Order or Check. No Paypal. Items are used as described. Please ask questions before you purchase, no returns. Shipping based on your Zip Code via UPS, tracking number will be provided. Insurance for shipping to you at your cost. Shipped to your FFL dealer only from my FFL dealer. Please know your state and local laws. 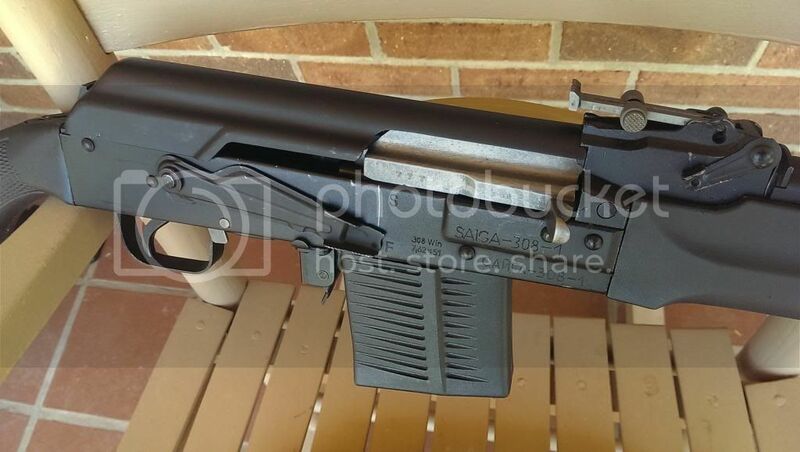 Saiga 223 21" barrel $670 + Shipping Rifle is like new, I have only fired it once to test function, about 30 rounds. Box included. Tapco Razr flash hider muzzle has been threaded 1x14LH . Extra magazines 2-30 Promag in wrappers/new 2-SGM 20 round mags-new 5 -10 round mags factory Saiga 3 are new.Sling included, and I have converted sling to side carry. 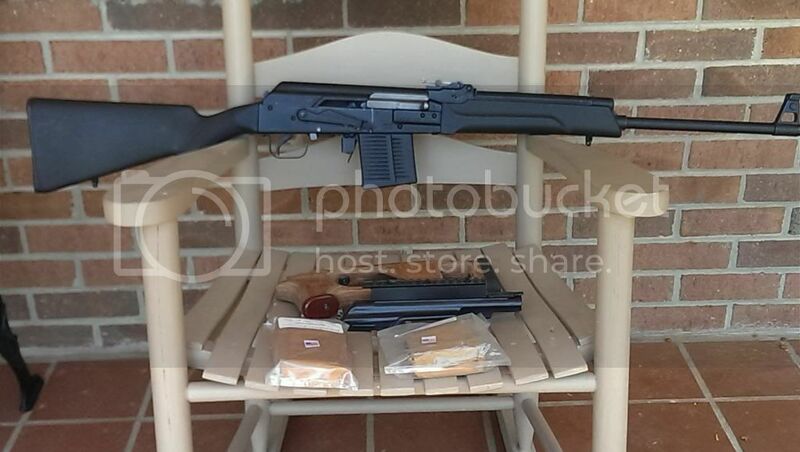 1-8 round Saiga Mag 1-10 round metal CSpecs mag and 1-5 round metal Cspecs mag both in wrappers, new. Wooden Druganov stock not included. Rail Scope dust cover included. 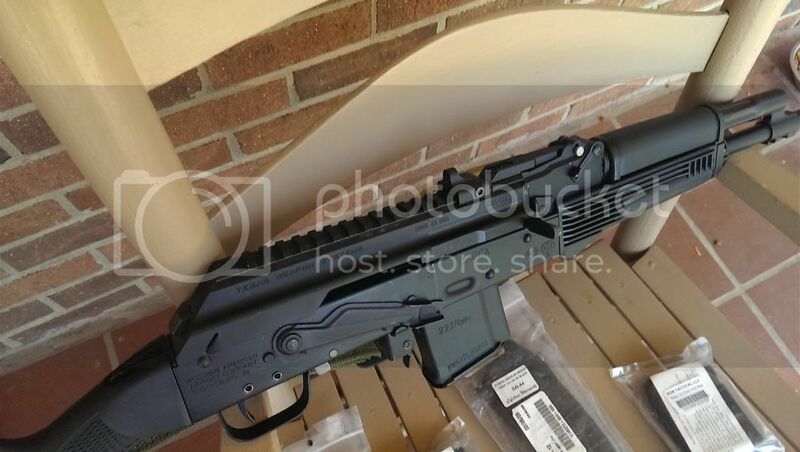 These are nice rifles, I am wanting to change my inventory a little and go with Rugers . Thanks . I Will take 308 as per agreement. Thanks!